Low-profile travel pillow gives neck or back support for travel in the car, airplanes, or basic support at home while relaxing. It is also great as a customizable lumbar support pillow to give you extra comfort in office chairs, or anywhere you find yourself in need. -Low Profile - Relaxing shouldn't require you to feel claustrophobic. Relax without the bulkiness of traditional U-shaped neck pillows. -Self-Inflatable - Simply turn the easy-open valve, and within seconds your pillow will be ready to use. 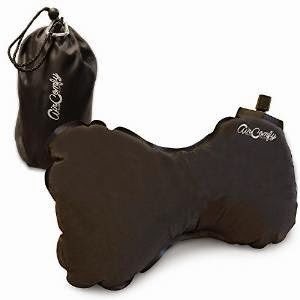 -Full Neck Support - The pillow center cradles the arch in your neck, providing ample support right where you need it. -Keep Your Head Up - Our unique side wings prevent your head from tilting, so you won't have to endure neck pain later. -Strap It On - No need to lose that perfect pillow placement. Secure it to your headrest with our handy elastic band. 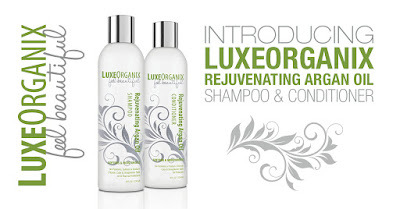 -Easy to Clean - Our fabric easily wipes clean with a damp cloth. The unique, low-profile shape of our pillow cradles the arch in your neck--providing ample support right where you need it, and ditching the bulk where you don't. 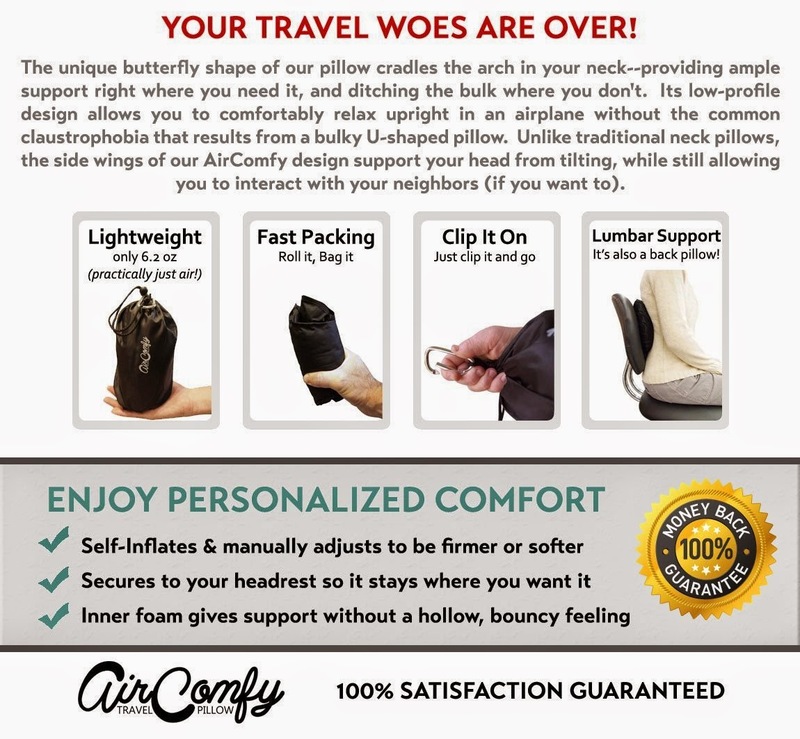 Unlike traditional neck pillows, the side wings of our design support your head from tilting, while still allowing you to interact with your neighbors. Best of all, its inflatable construciton features a luxurious inner foam that gives support without a hollow, bouncy feeling of other inflatables.